Context:MicroRNAs (miRNAs) are a class of short, endogenously-initiated, non-coding RNAs that post-transcriptionally control gene expression via translational repression or mRNA turnover. MiRNAs have attracted much attention in recent years as they play critical roles in gene expression and are promising tools with many biotech and therapeutic applications. The molecular mechanisms underlying the translational control of mRNAs are not fully understood but emerging evidence point to a key role for microRNAs in this process. Evidence Acquisition:In this review, we discuss the potential role of miRNAs as regulators of mRNA traffic and translational control, focusing on molecular mechanisms of miRNA-mediated control of eukaryotic mRNA stability and translational efficiency. Results:Translational control by miRNAs is often associated with silencing and repression of mRNAs via accumulation within cytoplasmic processing bodies (P-bodies), the site of mRNA storage and/or decay. Specific miRNAs can interact with the 3’UTR or 5’UTR of target mRNAs and regulate their stability as well as translational efficiency. A better understanding of these mechanisms is critical in advancing our knowledge of the role of these regulatory RNAs in modulating protein synthesis and controlling metabolic pathways in health and disease. Conclusions:The discovery of miRNAs and their important role in controlling many aspects of cell function and metabolism have led to considerable interest in biotech applications of miRNAs and their application in modulating specific gene expression. We thus highlight the growing biotech and therapeutic applications of miRNAs. MicroRNAs (miRNAs) – small (~ 21 nucleotide-long), evolutionarily conserved, non-coding RNAs – are increasingly recognized as critical for their ability to post-transcriptionally control gene expression via translational repression or messenger RNA (mRNA) turnover. These small RNAs are now understood to play a role in gene expression in animals, plants, and mammalians. Although the function of most miRNAs are still unknown, studies have helped to elucidate their participation in cellular processes such as differentiation, organelle development, and cancer (1). Recent bioinformatic analysis suggests that the regulation of up to 60% of all protein-coding genes may be mediated through miRNAs (2, 3). Further, miRNAs appear to regulate translational repression by targeting the 3’UTR of the mRNA, leading to the destabilization and subsequent degradation of the mRNA target. There is some evidence indicating that miRNAs – particularly in animals – also target the 5’UTR or even coding region of mRNAs to regulate translational repression or activation. miRNA activation of mRNA translation regulation may occur less frequently through the 5’UTR (4, 5). miRNAs generally function in the form of RNA protein complexes referred to as miRNA-induced silencing complexes (miRISCs) (6). These complexes contain two major proteins called argonaute (AGO) and GW182 (glycine-tryptophan [GW] repeats [182kDa protein]). GW bodies – also known as mammalian processing (P) bodies – are cytoplasmic structures thought to be involved in the storage or degradation of translationally repressed mRNAs. These bodies contain not only repressed mRNAs but also components of RNA-induced silencing complexes incorporated with miRNA (miRISCs) (6, 7). This suggests a functional link between miRNAs and P-body localization in the translational repression of target mRNAs. Additional evidence implicates other P-body components such as RNA-binding proteins in miRNA-mediated gene silencing (8, 9). Since miRNAs mostly bind to the 3’UTR of mRNA, it is not surprising that 3’UTR – binding proteins are in turn responsible for modulating miRNA – mediated repression. Direct interaction between RNA-binding proteins like HuR and Dead-end-1 (Dnd-1) and their targets affects mRNA stability and facilitates mRNA trafficking into the non-translating state, allowing them to be placed into P-bodies. These non-active mRNAs can become translationally active and re-enter the polysomal pool, suggesting a dynamic interaction between these RNA granules and translationally active polysomal mRNAs (7, 10-12). Here, we will review recent advances in our understanding of miRNAs and their mechanisms of action, with a specific focus on the subcellular localization of target mRNAs in P-bodies as a key mode of translational control. We also highlight the growing biotech and therapeutic applications of miRNAs. Two primary categories of small RNAs (∼ 20 − 30 nucleotide) – short interfering RNAs (siRNAs) and microRNAs (miRNAs) – are critical regulators in the expression and function of eukaryotic genomes. Single-stranded forms of both miRNAs and siRNAs have been found to associate with RNA-induced silencing complexes (RISCs) (13). It was originally believed that siRNA is exogenously derived from viruses or transposons; however, today it is clear that these structures also have an endogenous origin. The primary difference between the two structures appears to lie in their precursor: while siRNAs are excised from long double-stranded RNAs, miRNAs are derived from a stem-loop precursor (14). The biogenesis of miRNA begins with the transcription of miRNA genes and is followed by a complex series of post-transcriptional modifications. Transcription is initiated in the nucleus by RNA polymerase II, which generates primary microRNA (pri-miRNA). Pri-miRNA contains a hairpin RNA structure recognized by the protein complex microprocessor, which contains enzymes such as Drosha (nuclear RNAse III) and its co-factor DGCR8 (15). This structure cleaves the pri-miRNA to generate a 70 nucleotide immature hairpin (pre-miRNA). Nuclear export of pre-miRNA is a crucial step in miRNA biogenesis. Pre-miRNA binds to Exportin-5 and transports it from the nucleus to the cytoplasm. Interestingly, depletion of exportin-5 indicates that pre-miRNA is not accumulated in the nucleus, suggesting that pre-miRNA is unstable and that the interaction of pre-miRNA with exportin-5 may help to stabilize it (16). Once in the cytoplasm, the Dicer (RNase III endonuclease) generates mature miRNAs of approximately 18-21 nucleotides in length. Each strand can be loaded onto an Argonaute-containing RNA-induced silencing complex (RISC) and, by an imperfect base pairing to messenger RNA transcripts, can lead to translational repression and destabilization of the target RNAs (17). Previous expression profiling investigations have demonstrated that miRNA biogenesis regulation is controlled under developmental and/or tissue-specific signaling. However, the step at which this regulation occurs and the mechanisms controlling it remain unclear (16). Regulation of biogenesis mainly happens at the transcriptional level, though there is some evidence suggesting that it is also mediated at the post-transcriptional level. For example, the mature miR-38 in C-elegans is expressed only in the embryo but the pre-miR-38 is ubiquitously detected, suggesting that the maturation of pre-miR-38 is regulated when necessary. This pre-miR-38 is retained in the nucleus until export is triggered by a certain developmental signal and, following transport out of the nucleus, it may also bind to negative regulatory factors in the cytoplasm (18). The function of miRNA depends on the formation of ribonucleoprotein complexes that contain key protein factors like Argonaute (AGO) and glycin-tryptophan (GW), the repeat-containing protein also known as GW182 (19). These two groups of proteins (GW182 and AGO) interact directly with each other (20), and disruptions to this interaction (through, for example, a point mutation) can eliminate suppression of miRNA (21, 22). Argonuate proteins catalyze targeted RNA cleavage and, for this reason, are sometimes referred to as slicer proteins. However, not all argonaute proteins are slicing, and some may use other mechanisms to repress gene expression (6, 23, 24). Conversely, argonaute has also been shown to play a role in the autoregulation of miRNA biogenesis, a recently identified mechanism for controlling miRNA expression. This novel finding suggests that the miRNA complex may also be involved in the regulation of certain non-coding RNAs beyond the protein-coding gene. The argounate protein plays an important role in the regulation of the miRNA pathway in gene expression. For example, in C elegans, the argounate protein (ALG-1) binds to 3’UTR of the let-7 primary miRNA transcript and regulates the down-stream process. This loop is mediated by mature let-7 miRNA through the interaction between the protein and the conserved site in its primary transcript (25). As discussed above, argonaute proteins work in a complex with GW182 proteins. Indeed, it is now well understood that deadenylation of the mRNA target by miRNA requires GW182. Tethering of GW182 protein can induce translation repression even in the absence of Ago protein. This suggests that Ago protein acts as scaffold to collect GW182 to mRNA (8, 26-28). Further studies demonstrate the vital role of GW182 in recruiting other deadenylase complexes such as CCR4-NOT1 and poly (A)-binding protein (PABP) to promote deadenylation of the miRNA-targeted mRNAs (8, 29). Taken together, these findings indicate that miRNA function requires the AGO and GW182 proteins of the miRISC to recruit other deadenylase complexes, which then help to initiate mRNA decay. MiRNAs normally interact with their target mRNA via complementary base-pairing. The complementary sequence on the target mRNA is called the “seed” sequence (nucleotide positions 2–8 from the 5’ end of miRNA). miRNA-mRNA interaction need not have strict base complementarity. Even the minimal size of this seed sequence is enough to induce silencing of the target (23). In terms of the role of the RISC complex in this interaction, Wang et al. suggest that the crystal structure of the miRISC complex indicates a strong bond between the complex and the seed region. Indeed, seed-matching plays a vital role in target site recognition (30). Recent studies report that the concentration of miRNA and the strength of miRNA-mRNA binding may also affect the interaction (31). For example, specific miRNAs may only bind to specific mRNAs in the presence of higher concentrations of that miRNA. In tumor cells, miRNAs are expressed at low or high concentrations and, therefore, may bind less or more extensively to mRNAs compared to normal cells (32). A number of studies have been conducted with the aim of mapping miRNA binding sites in mRNAs. Results of this research suggest that 46% of miRNA binding sites are mapped to the 3′-UTRs, 50% to the mRNA coding region, and 4% to the 5′-UTRs (33). As one miRNA can regulate the expression of several mRNAs with the same miRNA binding site, the identification of regulatory miRNAs and their target mRNAs remains a challenge. Moreover, some mRNAs have multiple binding sites for different miRNA, meaning they are likely to be regulated by multiple miRNAs (34). This many-to-many relationship allows miRNA to exert a great deal of control over protein synthesis; however, it complicates attempts to elucidate these interactions (35). Currently, there are several methods used to identify miRNA target sites. Unfortunately, the mere presence of a miRNA-binding site is not sufficient for regulation of the target, a process that is controlled at various levels. Recently, researchers have confirmed that miRNAs both regulate and are regulated by target interactions, with targets reciprocally controlling the level and function of miRNAs. This finding has important implications for the use of miRNAs as therapeutic targets for the treatment of many diseases (35). The process of gene expression controlling cellular protein synthesis is controlled at several points. These steps include transcription, transport of mRNA into the cytoplasm, stability/decay of mRNA transcripts, mRNA translation, co/post-translational modification, and intracellular transport and degradation of the expressed protein. Among these steps, the efficiency of mRNA translation and translational control are of critical importance in fine-tuning protein synthesis (36). The half-lives of many mRNAs in eukaryotic cells is long (> 6 h), giving them more opportunity to control translation. Indeed, it has been suggested that long-lived mRNAs may present increased decay rates via miRNA repression (37). Moreover, sequencing has shown that approximately 95% of the human genome consists of non-translated regions that do not code for proteins (38). This suggests that these non-coding sites may play a key role in post-transcriptional control. The mature mRNA in the cytoplasm of eukaryotic cells are associated with a number of proteins including RNA binding proteins, RNA helicases, and translational factors (39), which form a complex network of ribonucleoprotein particles (mRNPs) that are responsible for repression of mRNA and lead to the formation of cytoplasmic RNA granules. These granules are proposed as the main regulators of post-transcriptional gene expression or gene silencing (40). They are divided into four groups: germinal granules, stress granules, processing bodies (P-bodies), and neural granules. Processing bodies are dynamic RNA-protein structures found in the cytoplasm in a range of eukaryotic cells, from yeast to mammals. P-body assembly correlates positively with the pool of non-translating mRNAs available in a cell (12, 41-43).These structures contain mRNA decay machinery components. Among these components are enzymes like decapping enzymes, RNA helicases, Dhh1/ RCK/p54, Pat1, Scd6/RAP55, Edc3, the Lsm1–7 complex (activators of decapping), and Xrn1 (5’-3’ exonuclease). These structures also include a miRNA repression system and an RNA-induced silencing complex (12, 41-43). Figure 1 depicts the pathways mediating miRNA regulation of mRNA translation. miRNA biogenesis begins with transcription of miRNA gene by RNA polymerase II followed by series of post transcriptional modifications. Pre-miRNA binds to Exportin-5 and transports it from the nucleus to the cytoplasm. In cytoplasm, the Dicer (RNase III endonuclease) generates mature miRNAs with approximately 18 - 21 nucleotides in length. Each strand can be loaded onto an Argonaute-containing RNA-induced silencing complex (RISC). miRNAs can regulate gene expression by targeting the UTR regions and also coding region of messenger RNA which can lead to translational repression by facilitating the trafficking into non-translating state. These non-active mRNAs can become translationally active and re-enter the polysomal pool, suggesting a dynamic interaction between these RNA granules and translationally active polysomal mRNAs. miRNAs regulate gene expression at the post-transcriptional level through translational repression and gene silencing (a mechanism known as RNAi), or through mRNA deadenylation at the 3’UTR and subsequent decay. Recent studies suggest that repression of protein synthesis at the translational level may be mediated at the initiation step. miRNA inhibits translation in this phase by interfering with eIF4F-cap recognition and 40S small ribosomal subunit recruitment, which prevents formation of the 80s ribosomal complex (43, 44). miRISC complexes also inhibit translation at the post-initiation stage by blocking ribosome elongation, inducing ribosome drop-off, or facilitating proteolysis of nascent polypeptides (44-46). However, the precise molecular steps involved in this remain unclear. Most miRNAs are known to suppress mRNA translation; however, there are some reports that miRNAs can activate translation of its target. For example, the increased expression of miR-21 during liver regeneration facilitates rapid progression of hepatocytes through G1 and into S phase by activating the Akt1/mTORC1 pathway, which promotes translation of cyclin D1 (47). Studying the pathways of mRNA degradation has given rise to a better understanding of the relationship between translation and degradation. Although much previous research has shown that miRNA-mediated regulation happens at the level of translation, there are numerous examples of documenting the destabilization of mRNAs via deadenylation by miRNAs. This destabilization is followed by decapping and decay. mRNA decay is frequently initiated by the removal of the poly (A) tail (deadenylation) by 3’-5’ exoribonucleases, or through the removal of the 5’-terminal cap by decapping enzymes (i.e. the DCP1/DCP2 complex) (48, 49). The process is completed by Xrn1, a 5’ – 3’ exonuclease (50). Degradation of mRNA by miRNA requires argonaute and GW182, components of the miRISC. GW182 recruits the CCR4-NOT1 deadenylase complex, which can disassemble the polysomes to promote deadenylation of miRNA-targeted mRNAs. Poly-A binding proteins (PABPs) also aid in this process by linearizing the circular polysomal transcript to create a linear mRNA (27, 51, 52). The destabilization of mRNA and its localization into cytoplasmic granules is controlled by cis-acting elements located within the 3’UTR and, less frequently, within the 5’UTR or coding sequence of the mRNA. Varying in length from a few to hundreds of nucleotides, these elements can form quite stable stem loop secondary structures which in turn control the stability of the mRNAs. Examples of these cis-acting elements include Au-rich elements, c-fos RNA coding determinants, and miRNA target sites (19, 36). It is now clear that the miRNA family and the miRISC protein complexes are important in translational control or gene silencing as they bind to the 3’UTR of mRNA and lead the target to localize into P-bodies. Therefore, it is not surprising that 3’UTR-binding proteins such as HuR (AU-rich element) and Dead-end 1 (Dnd1) can modulate miRNA-mediated repression. The mechanisms these proteins use to enhance the repression of selected miRNAs are still unknown. However, one recent study found that repressed CAT-1 mRNA (target of miR-122) can provide relief under cellular stress conditions. The HuR protein binds to the 3’UTR of the AREs of the mRNA target and releases miRNA-mediated repression. This occurs even when AREs are positioned at a considerable distance from miRNA-binding sites, suggesting that HuR protein is sufficient for derepression of the mRNA target. By binding to 3‘UTR, these structures lead to dissociation of the miRISC from the target RNA (47). Derepression of the miRNA-mediated mRNA by HuR protein is a novel mechanism of miRNA regulation compared to those that involve miRNA and RBPs at the 3’UTR of mRNA. In Zebra fish, an RBP protein called Dead end 1 (Dnd1) is responsible for derepression of several mRNAs including nanos 1 and TDRD7. They accomplish this by binding to the cis elements in the 3’UTR region and blocking the miRNA binding site (53). Regulation of gene expression at the post-transcriptional level is controlled by cytoplasmic foci, which are thought to be conserved in lower and higher eukaryotic cells. In somatic cells, mRNA storage/decay takes place in specific granules, particularly Stress Granules (SGs) and Processing Bodies (P-Bodies). Stress granules are formed in cells that have been exposed to different forms of stress such as heat shock, oxidative stress, or energy deprivation. P-bodies contain mRNA decay machinery and the RNA-induced silencing complex. Although P-bodies and stress granules are distinct structures, there is strong evidence suggesting that the two compartments are functionally linked. In S. cerevisiae, stress granules appear next to P-bodies, and their formation is dependent on the presence of these other structures (54). While P-bodies and stress granules form independently in mammalian cells, the two are frequently observed to interact transiently to control the fate of their mRNA cargo. Once a large pool of mRNAs has accumulated, the formation of P-bodies occurs. Recruitment of the mRNA into P-bodies depends on specific intracellular processes which can induce or inhibit translation and consequently affect the size and number of P-bodies. Processes such as blocking translation initiation or stress can increase the size and number of P-bodies in the cell. Conversely, mRNA deadenylation and inhibition of transcription has an opposite effect and decreases the size and number of P-bodies (55). The formation of P-bodies has been proposed to be associated with three proteins. In yeast, Edc3 has been found to act as a scaffold to enhance the decapping enzymes that also interact with RNA helicase Dhh1/RCK (56). A second protein, a decapping enhancer known as Pat1, has been shown to interact with Lsm1, Edc3, and Dcp1 in yeast resulting in inhibited translation (57). Lsm4 is the third protein that has been shown to be necessary in assembly of P-bodies in yeast. (55). Several studies have focused on the role of miRNA in the accumulation of mRNAs in P-bodies. These reports have established a relationship between miRNA-mediated translational repression and an increase in target mRNAs in the P-bodies that control mRNA turnover via 5’-to-3’ mRNA decay machinery (58). There are two models recommended for P-body-mediated translational repression. The first model proposes that the interaction between miRNA and the mRNA target occurs prior to mRNA localization into P-bodies. The second model suggests that mRNAs accumulate in P-bodies prior to binding to miRNA and that translation is suppressed as result of ribosome segregation. In support of the first model, one study demonstrated that Ago2 protein regulates the interaction between HIF-1α mRNA and HIF-targeting miRNA following microtubule disruption and repression of translation into the P-bodies (59). P-bodies have two main functions: they provide sites for RNA degradation and they store repressed mRNAs (60, 61). Interestingly, an inverse relationship exists between stored mRNA localized into P-bodies and polysome association of target mRNAs (9, 41, 45, 62). There are several cellular proteins responsible for releasing miRNA-bound mRNAs from P-bodies (63). However, more research is needed to elucidate the mechanism of miRNA-bound mRNA transport out of P-bodies. The HuR, an AU-rich element-binding protein, is one such protein that binds to the 3’UTR of CAT-1 mRNA (target of miR-122) and increases the stability of the miR-122 target mRNA. This process could subsequently help the target mRNA to exit P-bodies and return to polysomes (24). This quality gives cells the ability to rapidly control protein synthesis in response to certain stimuli without the need for new gene transcription (42). Considerable progress has recently been made in identifying a number of metabolic pathways that are regulated by miRNAs at the translational level. miR-21 has been shown to control regulation of genes involved in metabolic pathways including lipid metabolism. Peroxisome proliferator–activated receptor-α (Pparα), a direct target of miR-21, has a conserved octamer sequence complementary to miR-21 seed region in its 3′UTR. miR-21 regulation of Pparα has been found to regulate the lipid metabolic pathway. Interestingly, a role has also been found for miR-21 in the progression of kidney scarring and increased fibrosis. Overexpression of Pparα in the absence of miR-21 via silencing with oligonucleotides can prevent ureteral obstruction–induced injury and fibrosis. When repressed by miR-21, Mpv17l (the mitochondrial inhibitor of reactive oxygen) can enhance oxidative kidney damage (64). Other reports have focused on the role of miRNA in translational control of genes regulating fatty acid and insulin signaling. Intronic miR-33a/b are co-transcribed with their host genes SREBP1 and SREBP2 and can regulate genes involved in lipid metabolism such as peroxisomal carnitine o-octanoyltransferase (CROT), carnitine palmitoyltransferase Ia (CPT Ia), hydroxyacyl-CoA dehydrogenase/3-ketoacyl-CoA thiolase/enoyl-CoA hydratase (HADHB), insulin receptor substrate-2 (IRS2), and 5’-AMP-activated protein kinasea-a (AMPKa) by targeting their 3’UTR. These miRNAs have also been reported to regulate genes involved in cholesterol export, including the (ABC) transporters ABCA1 and ABCG1 (cholesterol efflux and HDL biosynthesis). Treatment with anti-miR33 oligonucleotide enhanced reverse cholesterol transport and atherosclerotic plaque regression in LDL receptor-deficient mice (65). A number of other diseases have been linked to dysregulation (the loss or gain of function) of miRNAs including inflammation, obesity, neurological disorders, and diabetes. miRNAs are known to be involved in the normal functioning of eukaryotic cells. Therefore, single point mutations in either the miRNA or its mRNA target are correlated with disease. For example, miR-214, which binds to the 3'UTR of UDP-N-acetyl-alpha-D-galactosamine:polypeptide N-acetylgalactosaminyltransferase 7 (GALNT7), is frequently down-regulated in cervical cancer and its expression reduces the proliferation, migration, and invasiveness of cervical cancer cells. Inhibition has an opposite result, enhancing proliferation, migration, and invasion (66). Similarly, down-regulation of a newly identified tumor suppressor, Chromodomain-helicase-DNA-binding protein 5 (CHD5), has been observed in a variety of human cancers. Studies of CH5 regulation via miR-211 in colorectal cancer indicate that the over expression of miR-211 promotes tumor cell growth by down-regulating the expression level of the CHD5 tumor suppressor (67). miRNAs also play a critical role in the pathogenesis of diabetes and its related cardiovascular disease. There are several miRNA such miR-375, miR-9, and miR-124a that control glucose homeostasis and the pathogenesis of diabetes by regulating B-cell function and insulin secretion. Moreover, in insulin target tissues like those found in the liver, miR-33a and miR-33b have been shown to regulate cholesterol homeostasis through interaction with sterol regulatory element binding proteins. Expression of these miRNAs can regulate their target genes (68). Table 1 lists a number of current and potential applications of miRNAs in therapeutics and the biotech industry. Based on the association of miRNA dysfunction with a number of disease phenotypes, some have begun to investigate the potential use of RNA interference (RNAi) for disease treatment. miRNAs have become strong therapeutic candidates whose modulating effects could be used to alter the course of disease. In general, there are two approaches to developing miRNA-based therapeutics: miRNA antagonists and miRNA mimics. For miRNAs whose expression is increased in specific disease states, inhibition of miRNA function with miRNA antagonists (generated to inhibit endogenous miRNAs) could have potential therapeutic benefits. Additionally, employing targeted smiRNA mimics could also have therapeutic benefits to re-gain the function of miRNA in disease states associated with specific impairment in miRNA function (69). For example, in a transgenic mouse model of cardiac failure, the level of miR-21 is known to be increased. To test the therapeutic potential of miR-21 inhibition in this animal model, the in vivo inhibition of miR-21 with a cholesterol-conjugated anti-miR was performed in mice that were subjected to pressure overload of the left ventricle prior to treatment. Inhibition of miR-21 in these animals was associated with symptoms of cardiac disease including hypertrophy, fibrosis, and impaired cardiac function, indicating that the use of antagonists can prevent impaired cardiac function (70). This work was supported by an operating research grant from the Natural Sciences and Engineering Research Council of Canada. SA is supported by a graduate scholarship from the Ontario Graduate Scholarship program. 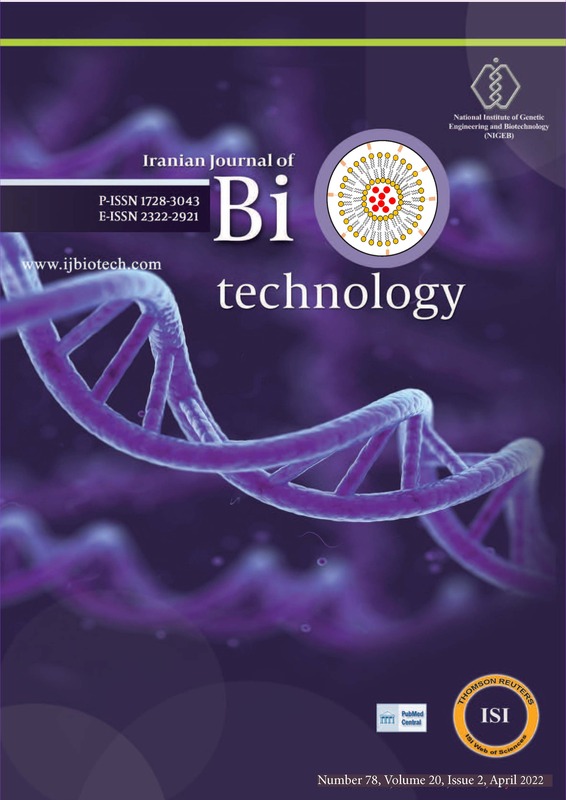 We would like to thank Dr. Reza Meshkani for translating the abstract into Farsi language. Sahar Basir Ansari is the first author of this review, contributing to research and writing of the manuscript. Dr. Khosrow Adeli contributed to the writing and editing of the manuscript. The authors have no relevant financial interests related to the material in the manuscript. The research project was supported by a research grant from the Natural Sciences and Engineering Research Council of Canada (NSERC). The sponsor provided funding but had no role in the design and conduct of the study; collection, management, and analysis of the data; or preparation, review, or approval of the manuscript. Similarly, in hepatocellular carcinoma (HCC), miR-26a is expressed at very low levels. One recent in vitro study, induced expression of the miR-26a in the liver was suggested to increase cell cycle arrest by targeting cyclins D2 and E2. Indeed, delivery of miR-26a by adeno-associated virus (AAV) reduced tumor burden in a mouse model of HCC compared to the AAV-treated control animals in which disease progress was unchanged. This suggests that over-expression of miR-26a in AAV-mediated models may result in a reduction in cell proliferation and the induction of apoptosis in tumor cells (71). While a number of potential therapeutic applications of miRNA expression have been identified, investigations of their use in humans are still preliminary. Use of a specific inhibitor of miR-122--liver-specific miRNA that requires the Hepatitis C virus to replicate has become one of the first examples of this new approach to miRNA therapeutics in humans. However, there is still much to be learned about the feasibility and efficacy of this approach (72). Beyond its use in humans, RNA interference also has therapeutic potential in agricultural biotechnology, specifically as an agent to control pests and diseases. Scientists have been able to develop novel crops with unique traits using this approach, including nicotine-free tobacco and non-allergenic peanuts. There has also been an effort to reduce the levels of allergens in tomato plants, to evolve a crop resistant to viruses and bacteria stresses (73), and to develop fortified plants containing dietary antioxidants (74). However, the full potential of RNAi to improve crops still remains to be elucidated. Precise regulation of gene expression is essential to cell survival and function. Eukaryotic gene expression can be modulated at transcriptional, posttranscriptional, translational, and posttranslational levels. It is now evident that miRNAs are critical to posttranscriptional and co-translational regulation of gene expression and play a vital role in many important biological functions. Mutiple miRNAs are involved in almost every aspect of cellular function allowing the cell to precisely regulate specific gene expression under various metabolic and physiological conditions. The regulatory power of miRNAs is now being exploited through biotechnology to develop a number of new therapeutic tools. miRNAs have recently emerged as promising regulators of gene expression in eukaryotic cells based on their capacity to modulate protein synthesis and control metabolic pathways via gene silencing (RNAi). Studies have found that RNA interference is linked to cytoplasmic granules (P-bodies), which control mRNA stability and enable storage and/or decay. Recent findings have helped to clarify the critical role of these cytoplasmic granules in the RNA life cycle and gene silencing. Increasingly, miRNAs are receiving attention for their potential involvement in different metabolic pathways and diseases. This new class of modulators of gene expression holds significant promise for use as potential drug targets in the treatment of many diseases. However, there is still so much to learn regarding optimal design of such a treatment including possible delivery limitations, off-target effects, and instability. Despite the enormous challenges ahead, the interest in RNAi biotechnology and miRNA therapeutics is rapidly growing which will undoubtedly lead to new discoveries and novel tools in medicine, agriculture, and other segments of industrial biotechnology. 1. Stahlhut Espinosa CE, Slack FJ. The role of microRNAs in cancer. Yale J Biol Med. 2006;79(3-4):131-40. 2. Chekulaeva M, Filipowicz W. Mechanisms of miRNA-mediated post-transcriptional regulation in animal cells. Curr Opin Cell Biol. 2009;21(3):452-60. 3. Friedman RC, Farh KK, Burge CB, Bartel DP. Most mammalian mRNAs are conserved targets of microRNAs. Genome Res. 2009;19(1):92-105. 4. Niepmann M. Activation of hepatitis C virus translation by a liver-specific microRNA. Cell Cycle. 2009;8(10):1473-7. 5. Vasudevan S, Tong Y, Steitz JA. Cell-cycle control of microRNA-mediated translation regulation. Cell Cycle. 2008;7(11):1545-9. 6. Eulalio A, Huntzinger E, Izaurralde E. Getting to the root of miRNA-mediated gene silencing. Cell. 2008;132(1):9-14. 7. Parker R, Sheth U. P bodies and the control of mRNA translation and degradation. Mol Cell. 2007;25(5):635-46. 8. Behm-Ansmant I, Rehwinkel J, Doerks T, Stark A, Bork P, Izaurralde E. mRNA degradation by miRNAs and GW182 requires both CCR4:NOT deadenylase and DCP1:DCP2 decapping complexes. Genes Dev. 2006;20(14):1885-98. 9. Chu CY, Rana TM. Translation repression in human cells by microRNA-induced gene silencing requires RCK/p54. PLoS Biol. 2006;4(7):e210. 10. Brengues M, Parker R. Accumulation of polyadenylated mRNA, Pab1p, eIF4E, and eIF4G with P-bodies in Saccharomyces cerevisiae. Mol Biol Cell. 2007;18(7):2592-602. 11. Kedersha N, Stoecklin G, Ayodele M, Yacono P, Lykke-Andersen J, Fritzler MJ, et al. Stress granules and processing bodies are dynamically linked sites of mRNP remodeling. J Cell Biol. 2005;169(6):871-84. 12. Teixeira D, Sheth U, Valencia-Sanchez MA, Brengues M, Parker R. Processing bodies require RNA for assembly and contain nontranslating mRNAs. RNA. 2005;11(4):371-82. 13. Hammond SM, Boettcher S, Caudy AA, Kobayashi R, Hannon GJ. Argonaute2, a link between genetic and biochemical analyses of RNAi. Science. 2001;293(5532):1146-50. 14. Tomari Y, Du T, Zamore PD. Sorting of Drosophila small silencing RNAs. Cell. 2007;130(2):299-308. 15. Seitz H, Zamore PD. Rethinking the microprocessor. Cell. 2006;125(5):827-9. 16. Kim VN. MicroRNA biogenesis: coordinated cropping and dicing. Nat Rev Mol Cell Biol. 2005;6(5):376-85. 17. Shomron N, Levy C. MicroRNA-biogenesis and Pre-mRNA splicing crosstalk. J Biomed Biotechnol. 2009;2009:594678. 18. Ambros V, Lee RC, Lavanway A, Williams PT, Jewell D. MicroRNAs and Other Tiny Endogenous RNAs in C. elegans. Curr Biol. 2003;13(10):807-18. 19. Fabian MR, Sonenberg N, Filipowicz W. Regulation of mRNA translation and stability by microRNAs. Annu Rev Biochem. 2010;79:351-79. 20. Liu J, Carmell MA, Rivas FV, Marsden CG, Thomson JM, Song JJ, et al. Argonaute2 is the catalytic engine of mammalian RNAi. Science. 2004;305(5689):1437-41. 21. Eulalio A, Tritschler F, Izaurralde E. The GW182 protein family in animal cells: new insights into domains required for miRNA-mediated gene silencing. RNA. 2009;15(8):1433-42. 22. Till S, Lejeune E, Thermann R, Bortfeld M, Hothorn M, Enderle D, et al. A conserved motif in Argonaute-interacting proteins mediates functional interactions through the Argonaute PIWI domain. Nat Struct Mol Biol. 2007;14(10):897-903. 23. Bartel DP. MicroRNAs: target recognition and regulatory functions. Cell. 2009;136(2):215-33. 24. Bhattacharyya SN, Habermacher R, Martine U, Closs EI, Filipowicz W. Relief of microRNA-mediated translational repression in human cells subjected to stress. Cell. 2006;125(6):1111-24. 25. Zisoulis DG, Kai ZS, Chang RK, Pasquinelli AE. Autoregulation of microRNA biogenesis by let-7 and Argonaute. Nature. 2012;486(7404):541-4. 26. Chekulaeva M, Filipowicz W, Parker R. Multiple independent domains of dGW182 function in miRNA-mediated repression in Drosophila. RNA. 2009;15(5):794-803. 27. Eulalio A, Huntzinger E, Izaurralde E. GW182 interaction with Argonaute is essential for miRNA-mediated translational repression and mRNA decay. Nat Struct Mol Biol. 2008;15(4):346-53. 28. Li S, Lian SL, Moser JJ, Fritzler ML, Fritzler MJ, Satoh M, et al. Identification of GW182 and its novel isoform TNGW1 as translational repressors in Ago2-mediated silencing. J Cell Sci. 2008;121(Pt 24):4134-44. 29. Fabian MR, Mathonnet G, Sundermeier T, Mathys H, Zipprich JT, Svitkin YV, et al. Mammalian miRNA RISC recruits CAF1 and PABP to affect PABP-dependent deadenylation. Mol Cell. 2009;35(6):868-80. 30. Wang Y, Juranek S, Li H, Sheng G, Tuschl T, Patel DJ. Structure of an argonaute silencing complex with a seed-containing guide DNA and target RNA duplex. Nature. 2008;456(7224):921-6. 31. Ragan C, Zuker M, Ragan MA. Quantitative prediction of miRNA-mRNA interaction based on equilibrium concentrations. PLoS Comput Biol. 2011;7(2):e1001090. 32. Lu J, Getz G, Miska EA, Alvarez-Saavedra E, Lamb J, Peck D, et al. MicroRNA expression profiles classify human cancers. Nature. 2005;435(7043):834-8. 33. Chi SW, Zang JB, Mele A, Darnell RB. Argonaute HITS-CLIP decodes microRNA-mRNA interaction maps. Nature. 2009;460(7254):479-86. 34. Ying SY, Chang DC, Miller JD, Lin SL. MicroRNA protocols. Perspectives. Methods Mol Biol. 2006;342:351-8. 35. Pasquinelli AE. MicroRNAs and their targets: recognition, regulation and an emerging reciprocal relationship. Nat Rev Genet. 2012;13(4):271-82. 36. Adeli K. Translational control mechanisms in metabolic regulation: critical role of RNA binding proteins, microRNAs, and cytoplasmic RNA granules. Am J Physiol Endocrinol Metab. 2011;301(6):E1051-64. 37. Raghavan A, Ogilvie RL, Reilly C, Abelson ML, Raghavan S, Vasdewani J, et al. Genome-wide analysis of mRNA decay in resting and activated primary human T lymphocytes. Nucleic Acids Res. 2002;30(24):5529-38. 38. Gerstein M, Zheng D. The real life of pseudogenes. Sci Am. 2006;295(2):48-55. 39. Angenstein F, Evans AM, Ling SC, Settlage RE, Ficarro S, Carrero-Martinez FA, et al. Proteomic characterization of messenger ribonucleoprotein complexes bound to nontranslated or translated poly(A) mRNAs in the rat cerebral cortex. J Biol Chem. 2005;280(8):6496-503. 40. Anderson P, Kedersha N. RNA granules: post-transcriptional and epigenetic modulators of gene expression. Nat Rev Mol Cell Biol. 2009;10(6):430-6. 41. Liu J, Valencia-Sanchez MA, Hannon GJ, Parker R. MicroRNA-dependent localization of targeted mRNAs to mammalian P-bodies. Nat Cell Biol. 2005;7(7):719-23. 42. Martin KC, Ephrussi A. mRNA localization: gene expression in the spatial dimension. Cell. 2009;136(4):719-30. 43. Pillai RS, Bhattacharyya SN, Artus CG, Zoller T, Cougot N, Basyuk E, et al. Inhibition of translational initiation by Let-7 MicroRNA in human cells. Science. 2005;309(5740):1573-6. 44. Olsen PH, Ambros V. The lin-4 regulatory RNA controls developmental timing in Caenorhabditis elegans by blocking LIN-14 protein synthesis after the initiation of translation. Dev Biol. 1999;216(2):671-80. 45. Gu S, Jin L, Zhang F, Sarnow P, Kay MA. Biological basis for restriction of microRNA targets to the 3' untranslated region in mammalian mRNAs. Nat Struct Mol Biol. 2009;16(2):144-50. 46. Petersen CP, Bordeleau ME, Pelletier J, Sharp PA. Short RNAs repress translation after initiation in mammalian cells. Mol Cell. 2006;21(4):533-42. 47. Kundu P, Fabian MR, Sonenberg N, Bhattacharyya SN, Filipowicz W. HuR protein attenuates miRNA-mediated repression by promoting miRISC dissociation from the target RNA. Nucleic Acids Res. 2012;40(11):5088-100. 48. Meyer S, Temme C, Wahle E. Messenger RNA turnover in eukaryotes: pathways and enzymes. Crit Rev Biochem Mol Biol. 2004;39(4):197-216. 49. Yamashita A, Chang TC, Yamashita Y, Zhu W, Zhong Z, Chen CY, et al. Concerted action of poly(A) nucleases and decapping enzyme in mammalian mRNA turnover. Nat Struct Mol Biol. 2005;12(12):1054-63. 50. Coller J, Parker R. Eukaryotic mRNA decapping. Annu Rev Biochem. 2004;73:861-90. 51. Eulalio A, Helms S, Fritzsch C, Fauser M, Izaurralde E. A C-terminal silencing domain in GW182 is essential for miRNA function. RNA. 2009;15(6):1067-77. 52. Eulalio A, Huntzinger E, Nishihara T, Rehwinkel J, Fauser M, Izaurralde E. Deadenylation is a widespread effect of miRNA regulation. RNA. 2009;15(1):21-32. 53. Kedde M, Strasser MJ, Boldajipour B, Oude Vrielink JA, Slanchev K, le Sage C, et al. RNA-binding protein Dnd1 inhibits microRNA access to target mRNA. Cell. 2007;131(7):1273-86. 54. Anderson P, Kedersha N. Stress granules: the Tao of RNA triage. Trends Biochem Sci. 2008;33(3):141-50. 55. Kulkarni M, Ozgur S, Stoecklin G. On track with P-bodies. Biochem Soc Trans. 2010;38(Pt 1):242-51. 56. Decker CJ, Teixeira D, Parker R. Edc3p and a glutamine/asparagine-rich domain of Lsm4p function in processing body assembly in Saccharomyces cerevisiae. J Cell Biol. 2007;179(3):437-49. 57. Pilkington GR, Parker R. Pat1 contains distinct functional domains that promote P-body assembly and activation of decapping. Mol Cell Biol. 2008;28(4):1298-312. 58. Jakymiw A, Pauley KM, Li S, Ikeda K, Lian S, Eystathioy T, et al. The role of GW/P-bodies in RNA processing and silencing. J Cell Sci. 2007;120(Pt 8):1317-23. 59. Carbonaro M, O'Brate A, Giannakakou P. Microtubule disruption targets HIF-1alpha mRNA to cytoplasmic P-bodies for translational repression. J Cell Biol. 2011;192(1):83-99. 60. Eulalio A, Behm-Ansmant I, Izaurralde E. P bodies: at the crossroads of post-transcriptional pathways. Nat Rev Mol Cell Biol. 2007;8(1):9-22. 61. Sheehy AM, Gaddis NC, Choi JD, Malim MH. Isolation of a human gene that inhibits HIV-1 infection and is suppressed by the viral Vif protein. Nature. 2002;418(6898):646-50. 62. Huang J, Liang Z, Yang B, Tian H, Ma J, Zhang H. Derepression of microRNA-mediated protein translation inhibition by apolipoprotein B mRNA-editing enzyme catalytic polypeptide-like 3G (APOBEC3G) and its family members. J Biol Chem. 2007;282(46):33632-40. 63. Liu J, Rivas FV, Wohlschlegel J, Yates JR, 3rd, Parker R, Hannon GJ. A role for the P-body component GW182 in microRNA function. Nat Cell Biol. 2005;7(12):1261-6. 64. Chau BN, Xin C, Hartner J, Ren S, Castano AP, Linn G, et al. MicroRNA-21 promotes fibrosis of the kidney by silencing metabolic pathways. Sci Transl Med. 2012;4(121):121ra18. 65. Davalos A, Goedeke L, Smibert P, Ramirez CM, Warrier NP, Andreo U, et al. miR-33a/b contribute to the regulation of fatty acid metabolism and insulin signaling. Proc Natl Acad Sci U S A. 2011;108(22):9232-7. 66. Peng RQ, Wan HY, Li HF, Liu M, Li X, Tang H. MicroRNA-214 suppresses growth and invasiveness of cervical cancer cells by targeting UDP-N-acetyl-alpha-D-galactosamine:polypeptide N-acetylgalactosaminyltransferase 7. J Biol Chem. 2012;287(17):14301-9. 67. Cai C, Ashktorab H, Pang X, Zhao Y, Sha W, Liu Y, et al. MicroRNA-211 expression promotes colorectal cancer cell growth in vitro and in vivo by targeting tumor suppressor CHD5. PLoS One. 2012;7(1):e29750. 68. Shantikumar S, Caporali A, Emanueli C. Role of microRNAs in diabetes and its cardiovascular complications. Cardiovasc Res. 2012;93(4):583-93. 69. Jackson A, Linsley PS. The therapeutic potential of microRNA modulation. Discov Med. 2010;9(47):311-8. 70. Thum T, Gross C, Fiedler J, Fischer T, Kissler S, Bussen M, et al. MicroRNA-21 contributes to myocardial disease by stimulating MAP kinase signalling in fibroblasts. Nature. 2008;456(7224):980-4. 71. Kota J, Chivukula RR, O'Donnell KA, Wentzel EA, Montgomery CL, Hwang HW, et al. Therapeutic microRNA delivery suppresses tumorigenesis in a murine liver cancer model. Cell. 2009;137(6):1005-17. 72. Elmen J, Lindow M, Schutz S, Lawrence M, Petri A, Obad S, et al. LNA-mediated microRNA silencing in non-human primates. Nature. 2008;452(7189):896-9. 73. Williams M, Clark G, Sathasivan K, Islam AI. RNA Interference and its Application in Crop Improvement. Plant Tissue Cultur Biotechnol. 2004;1(18). 74. Gavilano LB, Coleman NP, Burnley L-E, Bowman ML, Kalengamaliro NE, Hayes A, et al. Genetic Engineering of Nicotiana tabacum for Reduced Nornicotine Content. J Agr Food Chem. 2006;54(24):9071-8.